Inside: The five crucial components you need to increase for a healthy pregnancy. I remember when we began trying to have our first baby, I could hardly wait to wake up the morning my period was supposed to start so that I could take a pregnancy test. The anticipation of if it would be negative or positive was both thrilling and scary all in one. Every woman’s journey to getting pregnant looks different. 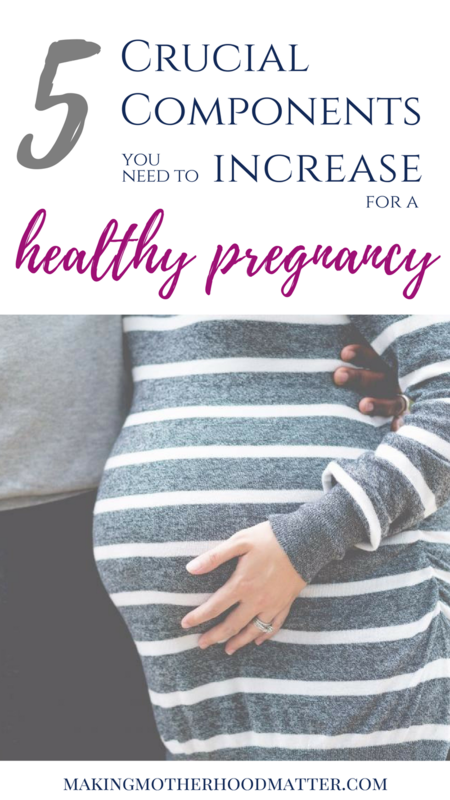 However, once a new life is growing inside of you, it’s important to take care of your body by increasing the five crucial components for a healthy pregnancy. If you’re not sure what those are, no worries, I’ve got you covered! This is a product-provided, sponsored conversation on behalf of Viactiv that contains affiliate links. I received Viactiv Calcium Soft Chews for my own personal use. This post is not intended to address or diagnose any medical conditions. All opinions, text and experiences are my own. Please see full disclaimer below. When I am pregnant, especially during the first and third trimester I was so tired. Usually, sleepiness would hit me in the morning, the afternoon, and by nighttime, I would have to pry my eyes open to watch our favorite television shows. Seriously though, getting extra rest is imperative for a healthy pregnancy. During your second and third trimester, doctors typically recommend increasing your calories between 300-500 per day, depending on your body. This is a great time to indulge in healthy and nutritious food to fuel your baby and your body. The majority of women are calcium deficient. You need 1000 mg of daily calcium to preserve your bone mass while your baby is developing. Adequate intake of calcium will help prevent your body from taking calcium from your bones thus helping to decrease your risk of osteoporosis. Plus, your baby needs calcium to develop healthy teeth, bones, muscles, and heart. In addition to healthy diet changes, it’s easy and delicious to supplement your daily calcium with Viactiv Calcium Soft Chews. One Viactiv Calcium Soft Chew (500 mg of calcium in each soft chew) taken up to twice daily provides most pregnant women with the calcium they need daily (1000 mg total), plus vitamins D and K.
Plus, compared to leading gummy calcium supplement, Viactiv Calcium Soft Chews have ½ the sugar and ½ the calories. Viactiv Calcium Soft Chews are available nationwide supermarket, drugstores and major retailers, including CVS, Rite Aid, Target and Walmart. Learn more about Viactiv and pregnancy here. Folic acid is a vitamin your body needs. To ensure a healthy pregnancy, folic acid is recommended because it helps prevent neural tube defects. The neural tube develops into the spinal cord and brain of the baby. You can find folic acid in food like certain bread, pasta, or leafy green vegetables. During my second pregnancy, I found out after my initial blood work that I was deficient in Vitamin D. This may have been part of the reason I was feeling so sluggish. In fact, the Institute of Medicine (IOM) recommends 600 IU per day of Vitamin D for woman including pregnant women. Very few foods in nature contain Vitamin D. Fortified foods provide most of the Vitamin D in the American diet. Viactiv Calcium Soft Chews contain 500 IU of vitamin D in every chew. Once I bumped up my vitamin D, as recommended by my doctor, I felt an increase in energy. Of course, please consult with your physician before making any medical decisions. To connect with Viactiv and learn more about calcium & pregnancy you can visit them on Facebook or Instagram or search #Viactiv #BumpUpYourCalcium. 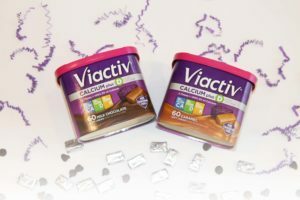 Viactiv Calcium Soft Chews are available in either delicious milk chocolate or caramel flavors. Which flavor of Viactiv Calcium Soft Chews — milk chocolate or caramel — would you prefer? P.S. If you enjoyed this piece, you may also like You’re Not Alone: 10 Pregnancy Secrets No One Shares. Learn more about Viactiv and pregnancy here. I love that this post is so informative! Thanks for dropping some knowledge mama! This is sooooo good to know, thank you! Great suggestions for incorporating healthy supplements. Do you know how mommies get these nutrients through whole foods? Thank you! I am glad you found it helpful. Yes, I agree it's important to get your nutrients through food. For example, you can find folic acid in food like bread, pasta, or leafy green vegetables, like I mention in the article. Also, calcium is in milk, yogurt, cheese, dark leafy greens and more. Great point.